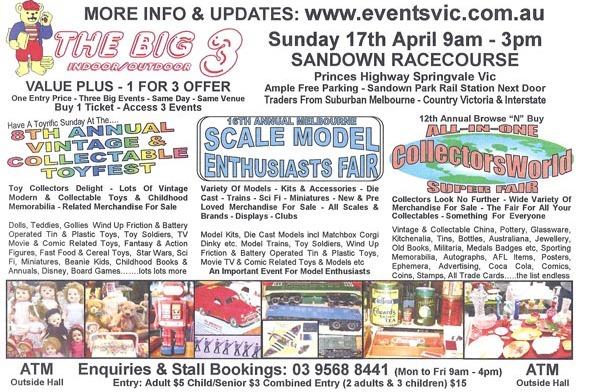 This weekend “THE BIG 3” collectables show is on at Sandown Racecourse in Victoria and I’ll be going along to check it out. Should be lots of basketball cards there so fingers crossed a lot of sellers will be there will all their great stuff! Might pick up a few boxes if the prices are any good, mainly going to check out some card singles. Hoping to find some nice Dwight Howard autographs but we’ll see what’s there. This year will be my first year attending this event so really excited. ← 94-95 Fleer Pro-Visions & 94-95 Skybox Emotion Sets Completed!